This article, written by C. Anderson and Joan O’Meara, appeared recently in The O’Meara Team’s 4Q18 Newsletter…Realty Check. If you would like to be included on our mailing list and receive this 4-page comprehensive quarterly newsletter in your mailbox, please email jomeara@houlihanlawrence.com. Joan O’Meara, associate real estate broker with Houlihan Lawrence’s Rye & Harrison office, provides a glimpse at some of the year’s real estate highlights and offers some insights into the year ahead. Houlihan Lawrence continued to grow and dominate the market locally, throughout Westchester and Connecticut. HL participated in the highest recorded sale with the David Rockefeller Estate selling at $33,000,000. It was listed at $22,000,000 and had the interest of multiple buyers. HL continued to participate in more than one third of all transactions in Westchester, compared to its next closest competitor with just 13%. Ranked by the Westchester Board of Realtors, 9 of the top 10 agents throughout Westchester were HL agents in 2018. HL also commanded the Rye market with 6 of the top 10 agents – including Joan O’Meara and team. As one of the top agents in the Rye office, O’Meara and team had 52 transactions and finished the year with over $65M in sales. O’Meara points out that there was also clear evidence of the success of HL’s continually improving and innovative marketing – locally, as well as regionally, nationally and internationally. “Our participation in over 1/3 of all transactions in Westchester allows us to collect and develop proprietary data, giving us an edge.” She further describes that the most important pieces of data include where the buyers are coming from, what price points are selling, and other crucial information that helps both buyers and sellers. We enter 2019 with some challenges and opportunities. The year will likely get off to a slow start as a result of fewer homes in contract in 2019 versus last year in Rye City. In Harrison, the number of homes in contract is the same as this time period last year. We expect to see new inventory in the coming weeks/months with the hope that this will motivate buyers to transact. This softer market can be attributed to the soft NYC real estate market, a volatile stock market, and changes in the tax law coming into effect now. The good news as we start the new year is that there are buyers out there looking. Additionally, there is also real value for buyers, as motivated sellers adjust prices accordingly. A recently reduced property resulted in 16 showings within approximately a week. Many of these potential buyers were just beginning their search. This is significant in that it shows the importance of pricing and that there are still buyers in the wings who are keeping a watchful eye on inventory and an open ear to strong value opportunities. Our spring market started in January, and new listings will continue to join the existing inventory over the next few weeks and months. Sellers willing to price accordingly will actually drive the market in 2019. Aligning with a top real estate agent, with years of experience, will equip both savvy buyers and motivated sellers with the know-how to navigate a tough market and still reach a successful transaction. Softening. At the end of Q2, we discussed the likelihood of prices leveling off and, in some markets, edging back. At the end of Q3, we are starting to see prices doing just that. When you look at the overall picture, inventory is on the rise in nearly every market, pending sales are declining, and sales are either flat or declining. What we are seeing is a market that is softening. In Westchester, home sales were down 4.1%. Although overall inventory was up in Westchester, it’s important to note that inventory continues to be low at the most affordable prices, homes priced below $500,000. A troubling sign was the decrease in showing activity by 11% through the end of the quarter. Some of that decline could be attributed to lower inventory at affordable price points, however, overall showings were down for homes priced up to $1,500,000. As showings are a leading indicator of pending sales, it’s no surprise that pending sales are down across the board. Here are some trends we are seeing as we move towards the end of 2018. The early fall market conditions are pointing to a chilly winter ahead. Despite inventory rising at an even faster pace than Q3, showings continue to be down more than 11.5%. More supply and less demand places potential home buyers in the driver’s seat. It remains to be seen however if they are going to take the wheel. With listing prices remaining nearly flat at all-time highs, interest rates on the rise and wage growth nearly stagnant, buyers may not be interested in making a move anytime soon. For sellers, we mentioned it last quarter and we are reiterating it again. If you want to sell, you will need to price competitively. The luxury of low inventory is gone. In this market, setting a high price and then gradually reducing will result in chasing the market down. In Westchester, homes priced correctly out of the gate sell, on average, in 49 days and at 99.8% of the asking price. Homes priced too high, that experience one or more price reductions spend an average of 344 days on the market and sell for 82.4% of the original list price. To read the complete executive summary and to see the comprehensive report CLICK HERE. Luxury homes sales north of NYC through the third quarter showed mixed results. In Westchester, luxury sales (sales over $2M) were down slightly. 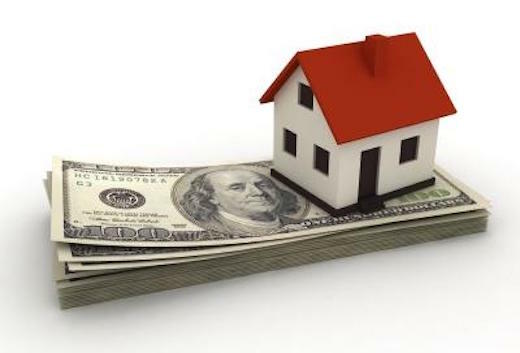 Recent reports indicate the housing sales nationwide are slowing because wage growth is not keeping pace with the increase in real estate prices. Our luxury markets do indeed appear to be slowing down, but lack of wage growth is not a factor for luxury buyers. In fact, the ten-year bull market created $18 trillion in wealth since the Standard & Poor’s 500 bottomed on March 9, 2009. Despite these record-setting gains in the stock market and net worth, the luxury buyer north of NYC is defined by a cautious and restrained approach to real estate. They are reminded that real estate can decline in value, and the fear of overpaying is a primary concern. Luxury rentals have increased since last year and offer an easy wait-and-see solution. The pursuit of value drives the purchase decisions of today’s buyer. They want a fair price that can be justified by comparable sales, and confidence in the property’s marketability should the need to sell arise. A surplus of luxury inventory justifies their caution: At the close of the third quarter, there were 467 luxury homes ($2M and higher) for sale in Westchester County and 57 homes in contract. Motivated sellers are paying attention to the importance of pricing and its out sized ability to attract the attention of buyers with a value-driven offering. Sellers who priced their homes ambitiously are reducing or withdrawing them from the market. To view the complete summary and the full report CLICK HERE. HL’s marketing objectives are focused on driving inquiries for your property. HL refines its marketing tactics every month by using proprietary sales data to power advertising. By participating in nearly half the homes sales in Rye, HL has substantial amounts of real time data to inform their advertising strategy. 31% of recent home sales were buyers relocating from Manhattan and Brooklyn. HL uses the proprietary information from those transactions to target specific zip-codes through online and print advertising. For questions or more information how this can benefit you, when selling your home, please feel free to email Joan at jomeara@houlihanlawrence.com. GRIEVING PROPERTY TAXES…Everything you need to know. Grieving property taxes can yield a cost savings for local taxpayers. All municipalities in Westchester County, including Rye and Harrison, have a Grievance Day – a specific day to hear property tax appeals. In 2018, that day is Tuesday, June 19th. The tax grievance period this year is is June 1st-June 19th. To do the math homeowners need their total assessed property value and the current Residential Area Ratio (RAR). Before pursuing formal review of your assessment, you should first determine if you are assessed fairly. Click HERE to read about the steps in this process. In Rye you can find your assessed value by going to joanomeara.com – Click Rye City/Online Services/Property Tax Search. Enter your address and you will see the Total Assessed Value. For Harrison go to joanomeara.com – Click on Town of Harrison/Departments/Assessor/Final Assessment Roll. In Harrison: Applications are available in the Assessor’s Office in Town Hall (1 Heineman Place).